Azaleas generally bring to mind springtime; we picture clusters of vivid pink blossoms on a velvety verdant background. However, this much loved landscaping plant can also contribute to fall decor as those bright green leaves take on the burnished tones of the season. As can numerous other plants we tend to forget about as summer turns to fall. Which leads me to a simple tip for a memorable Turkey Day tablescape. Use the autumnal version of the plants you love in Spring. 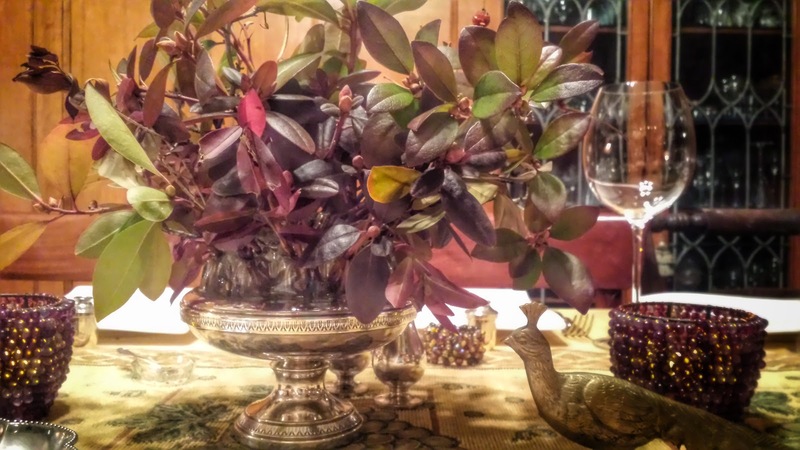 A walk through the November landscape... in many places... will reveal the warm tones of the season, harvest a variety of branches and boughs and arrange them vases and bowls and you've set the stage your Thanksgiving decor. ... to the Golf Girl lifestyle.